We've been so starved for new content related to David Lynch's forthcoming new season of Twin Peaks that we even sat through a terrible hotel commercial to get a glimpse of the director. Today, however, we've got something much better to offer as the cast of the original series star in a 40-minute reunion documentary. 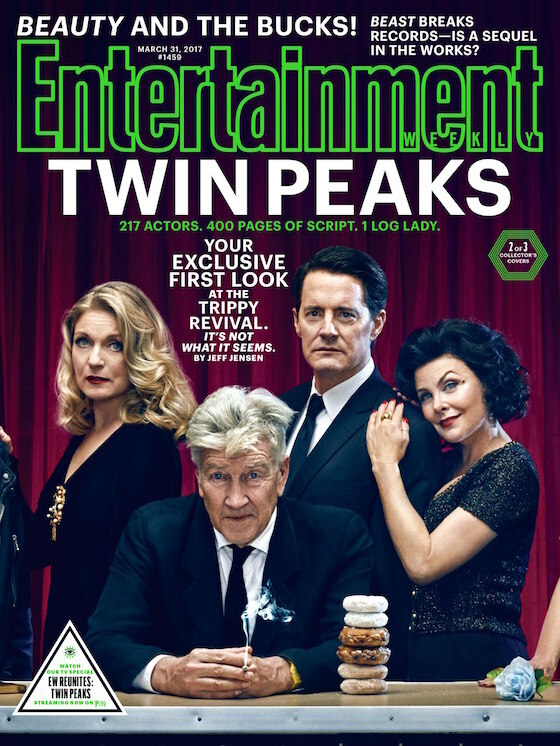 Entertainment Weekly has placed the cast of the reunion on three new magazine covers. To coincide with its drop, the magazine has also teamed up with People to produce the reunion doc. The video manages to promote Twin Peaks Season 3 without giving away any spoilers, making it the perfect way to tease the show. Watch an abbreviated version of the documentary below, and check out the full 40-minute special here. Twin Peaks returns on May 21.